It opened on 14 December 2015 in Beauty World Food Centre but was shut down in early 2017 as the food centre is supposed to be converted into an air-conditioned food court after the acquisition but the plan had fallen through. Most of the stalls that have moved out earlier started to move back, Buta Kin is one of them and the other is Hambaobao. 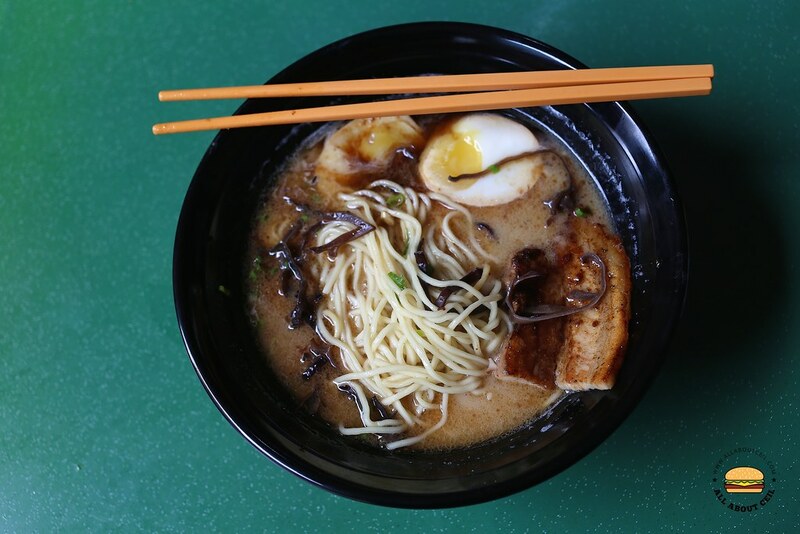 I am still on the look out for the best Ramen in Singapore. I have tried Tsuta but I did not like it as much as compared to what I had eaten in their original shop in Japan. I used to like the Tonkotsu Ramen Summer from Ramen Keisuke Tonkotsu King Four Seasons but it just did not seem as good as it used to be. I do not know whether it is a drop in their standard or my taste buds are getting more refined after my recent trip to Japan. Buta Kin is one of those hawker stalls serving affordable Japanese Fare. They serve 5 different types of ramen and udon dishes with another 3 different choices of Japanese curry dishes. There are other such stalls around, like Takagi Ramen and Konomi Zen, both are in Ang Mo Kio and I have been patronising them regularly, though their standard is not comparable to the restaurant. 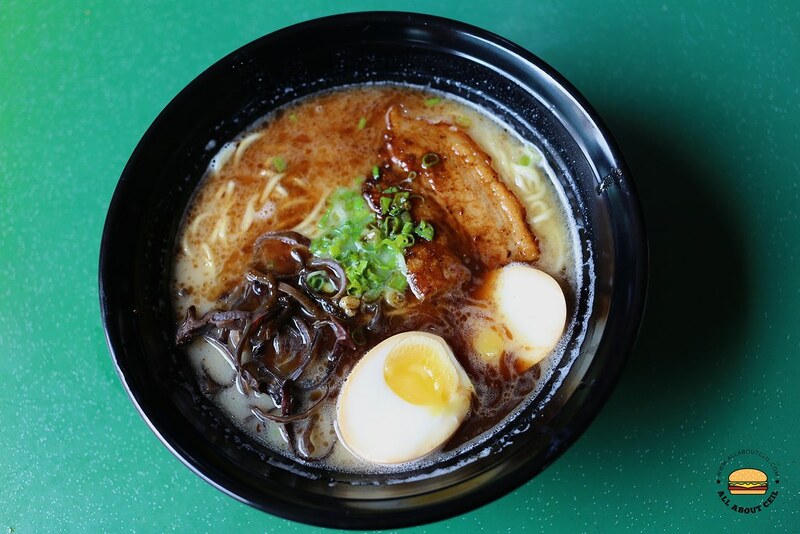 Some of the items on their menu are Tonkotsu Original Ramen / Udon ($5.00), Tonkotsu Black Ramen / Udon ($6.00), Tonkotsu Red Ramen / Udon ($6.00) and Tonkotsu Vegetable ($5.00) with the options to add a soft-boiled egg ($1.00), chashu ($1.80), black fungus ($0.80), seaweed ($0.80), vegetable ($1.00) or extra noodles ($1.00). They also serve Spicy Miso Pork Don ($5.00), Ebi Fry Curry Rice ($5.50), Tonkotsu Chicken Katsu Curry Rice ($6.00), Tonkotsu Pork Cutlet Curry Rice ($6.00) and also Cold Tofu with Sesame Dressing ($2.00). I ordered their Tonkotsu Black Ramen and added a soft-boiled egg for $7.00. The broth was a bit light in flavour and the black garlic sauce was not as fragrant as expected to be but the noodles were cooked just right though. The chashu was tender but not much flavour. The soft-boiled egg was done right with a gooey egg yolk. I should have gone for their Special Tonkotsu Ramen for $6.90 that consists of 3 slices of chashu, black fungus, soft-boiled egg with seaweed, which offers a better value.